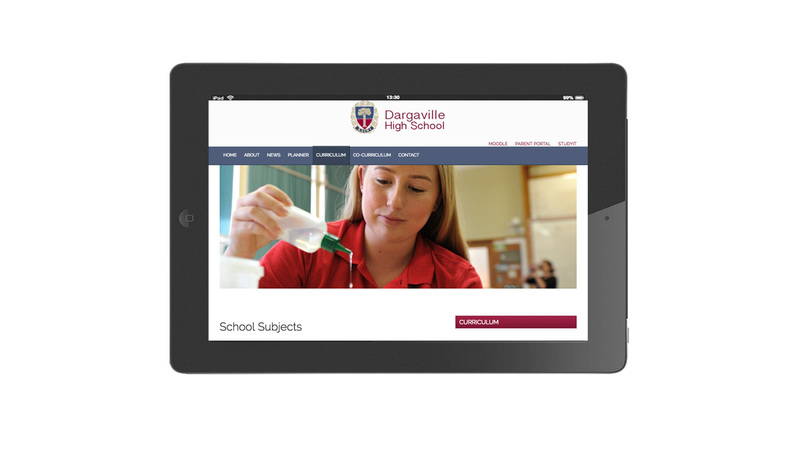 Dargaville High School New Zealand - school website & photography. 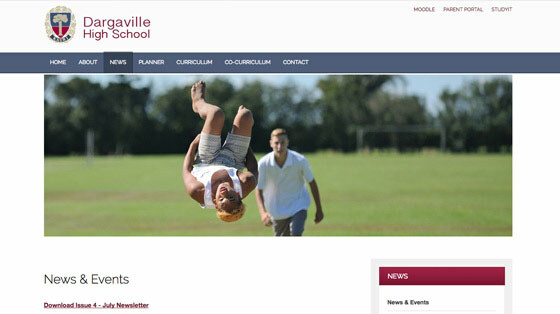 We enjoy a great relationship with Dargaville High School who have been with AMG since 2007. 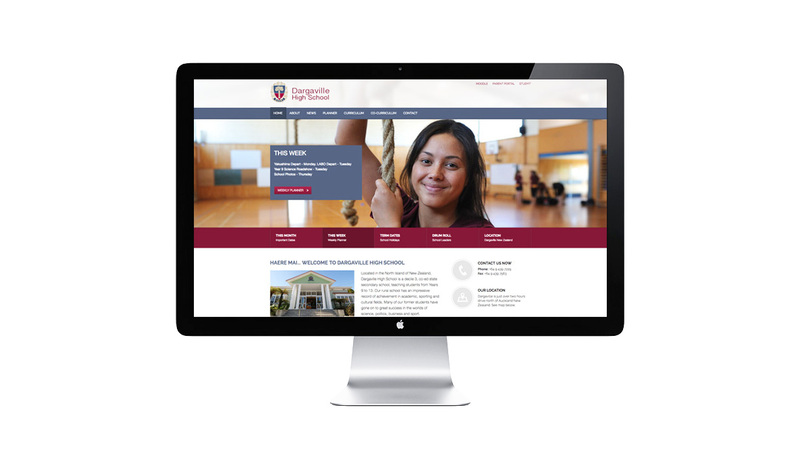 We re-designed their website in 2014 with a mobile-friendly website design and are responsible for all their photography, graphic design, brochures, school subject option books, school prospectus and print management. AMG also provides weekly website updates as part of a monthly web content management and website hosting package. We also simplified their logo design for web and print media. 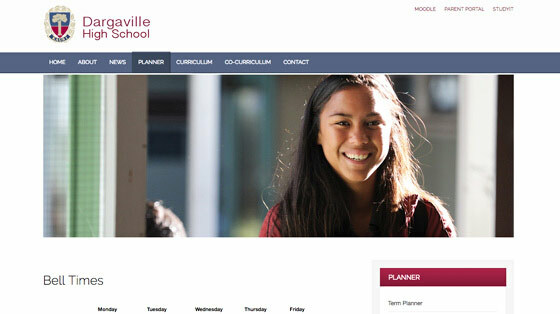 The Dargaville school website uses call-to-action buttons and large image banners on all pages. 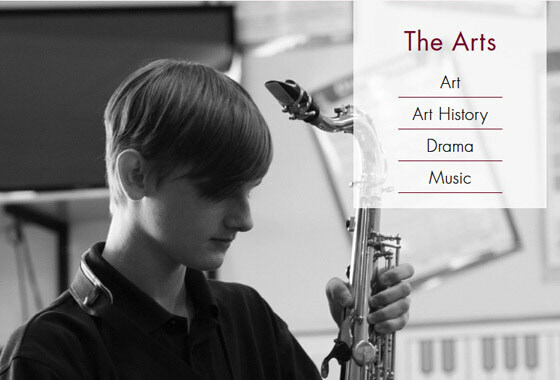 The 'sticky' interactive drop-down menu makes navigating this large website a breeze. 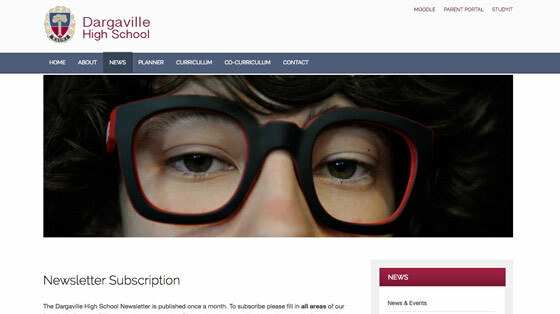 The website contains contact and application forms as well as a newsletter subscription form. AMG set-up Facebook and Google+ business pages in 2014 with great results. Their social media pages now have thousands of likes and comments with regular posts and feedback. Google Analytics is used to keep track of all their online web traffic.